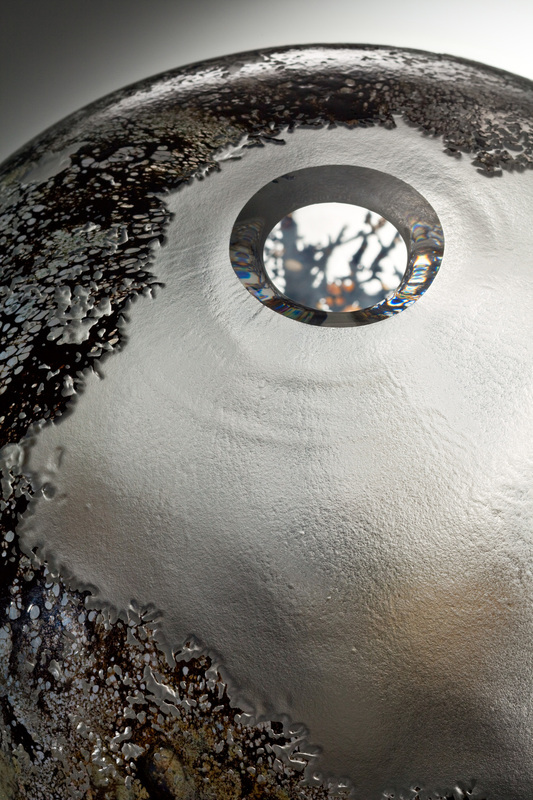 Sublime is a kaleidoscope of glass visions that draws on traces of thought & segments of information a photo album of inspirations. 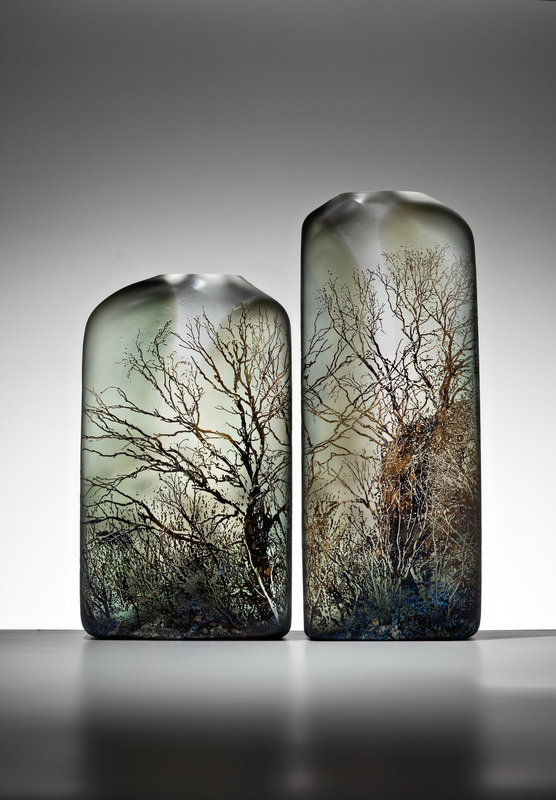 These glass landscapes are obtain by means of travel; a trip of stories, works, sensitivities, concepts, positions & contradictions. 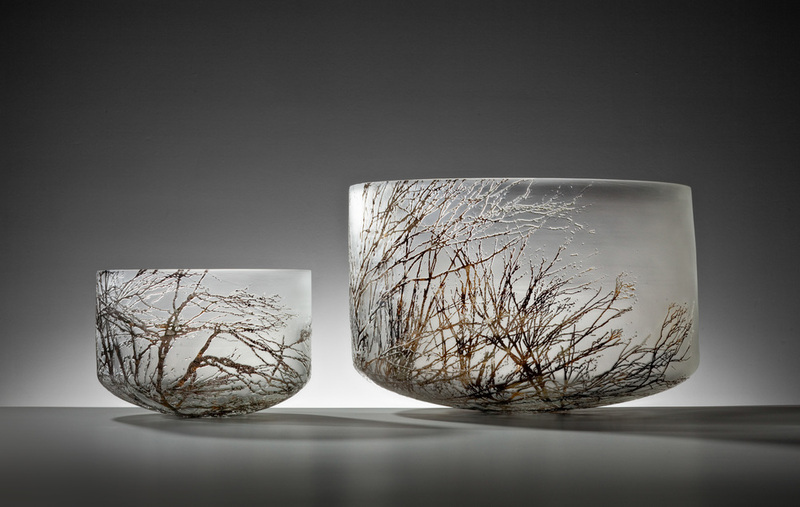 Recent trips through the Snowy Mountains are translated and explored in glass. 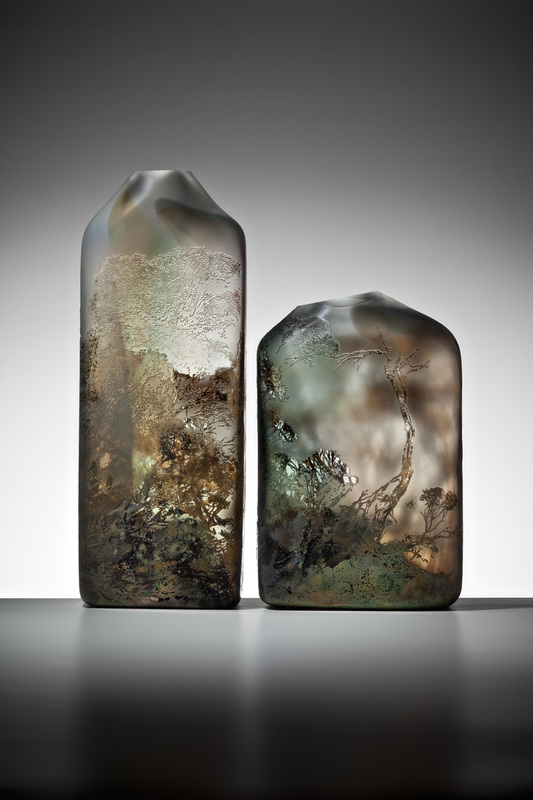 Both the flatten forms of the bottles allow me to investigate and narrate digital images as a 3-dimensional glass canvas creating artwork that is both pictorial and sculptural. The bowl, cylinder and spherical shapes are a documentation of natural spaces in a basic geometric form that is both concave and convex. 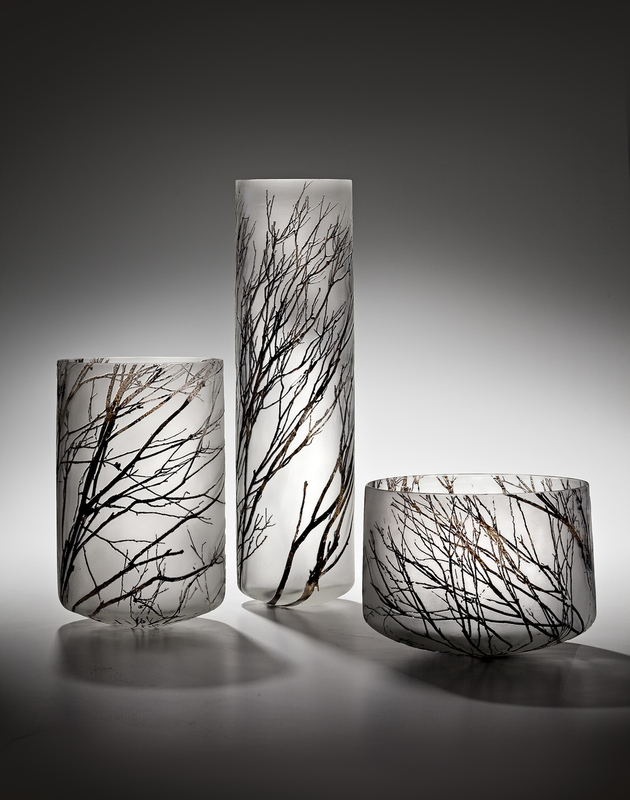 The intricate interwoven pattern created by the layering of tree branch images makes an abstracted interpretation of nature’s architecture. 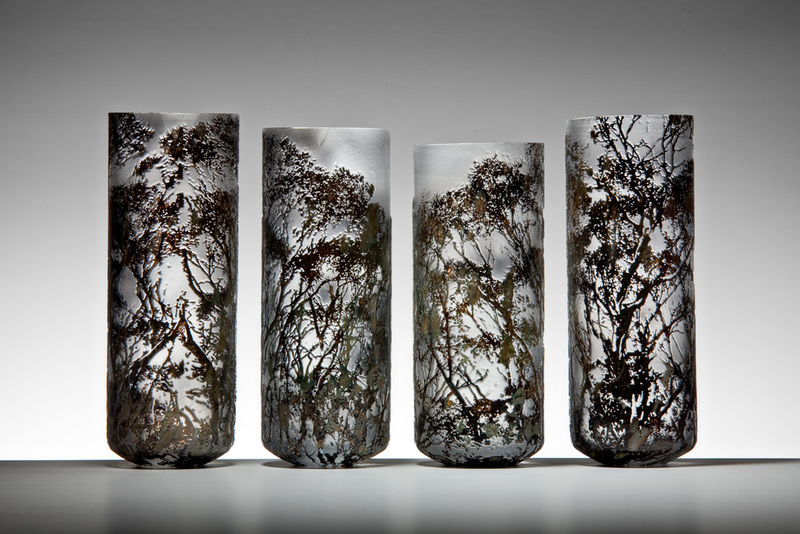 The inherent qualities of glass allow me to translate light and direct my gaze to the sublime details of nature. 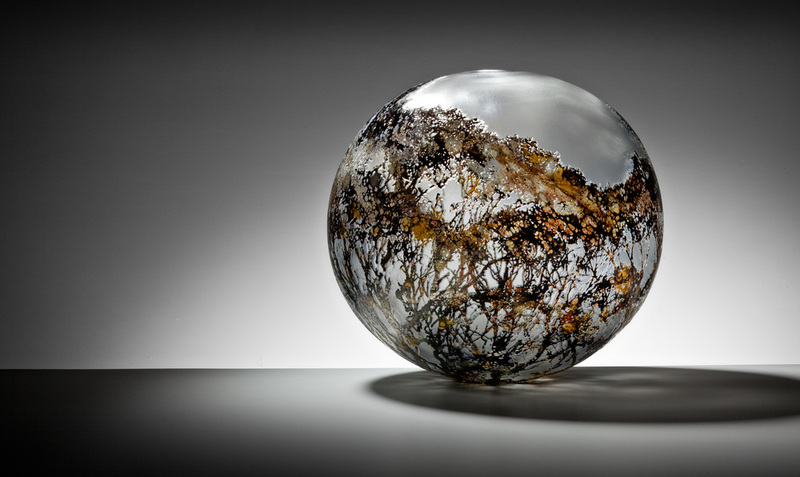 Creating work that is a culmination of the real and imagined landscapes achieved through a synthesis of modern digital technology with the centuries old tradition of glass blowing. As a landscape offers us limitless view, it is a profound ability of our gaze that is linked to light to explore these landscapes and find inspiration in the beauty that surrounds us.